Welcome Home to this spacious 4 bed 2.5 bath Colonial on a quiet cul-de-sac with private tree lined yard on almost a half an acre! Vacation at home year after year splish-splashing using your well maintained in-ground pool ( new pump 2017, new liner 2018) with basketball hoop. Inside, there is an open floor plan with plenty of room for entertaining as well as a natural fireplace to enjoy cozy winter nights. Bring the party downstairs in the finished lower level with egress window and additional office/playroom space. Main floor laundry / mud room for added convenience. Newer tankless water heater. 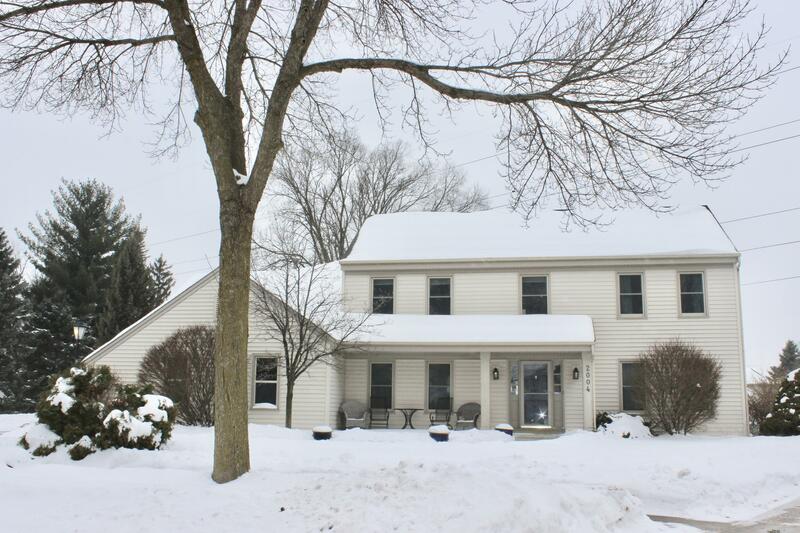 All of this in one of the best Waukesha locations around with only a short walk to fishing ponds and trails in Minooka Park!